I have a client which has always been really good to me. 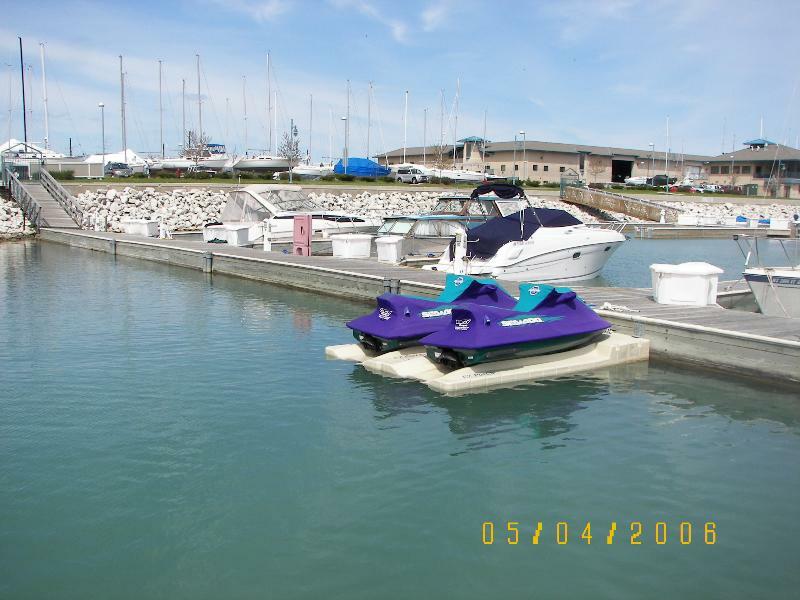 He had this pair of jet skis which he stopped using in 2004 after he was hospitalized for something. I can't remember what, but after that, he let me use them a few times in 2005. In 2006, he let me keep them at our marina for the whole summer. They were kept on these jet ski docks up there. It really made them stay clean and well maintained. The only thing that was kind of wierd was that the footwells kind of got some sort of white stuff in there from time to time. It looked like something I cannot mention online here but in any case it was slimy. In 2007, we kept them in the water the whole summer and used them about as much as in 2006. But this summer we had bought them from our friend. Here they were after I got them there. Here I was leaving another marina where we launched them for free. The second one had a bad ignition lanyard base and luckily we launched it much closer to the marina. This past summer (2008) with a new baby boy and two other girls, we didn't even put them into the water. We just left them on the trailer and finally sold them in July just because we didn't use them. And with the gas prices going up and up, we didn't feel inclined to use them much. We ended up selling them for just about what we paid for them two years earlier. These were some great skis while we had them. 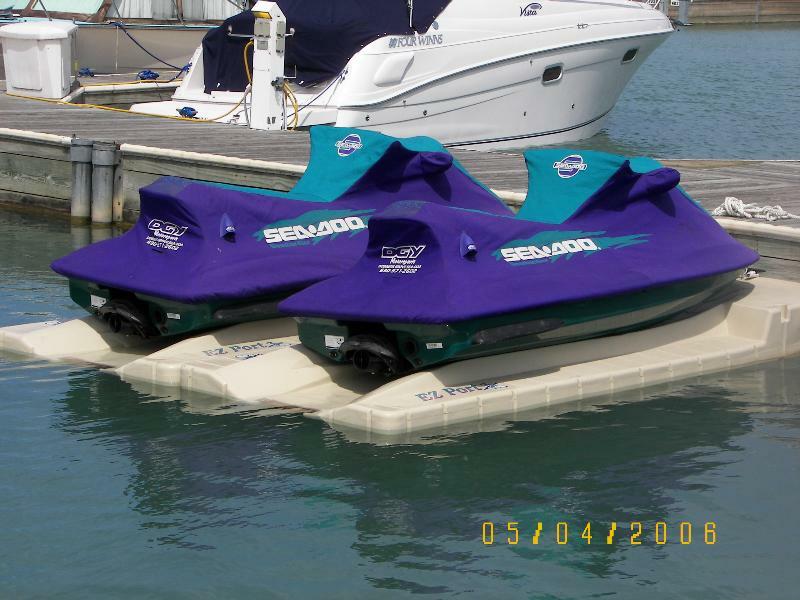 One other note is that I had tried out some of the Yamaha FX cruisers which have a 4 cycle engine and a little more hp than our old Seadoo GTX's. Man was that thing fast! It was hard to hold onto and also stay on the seat without sliding back. So when the kids have grown up a little bit we'll just buy a couple of newer ones.